Applicants who pass the requirements earn specific titles which may be used after their names. 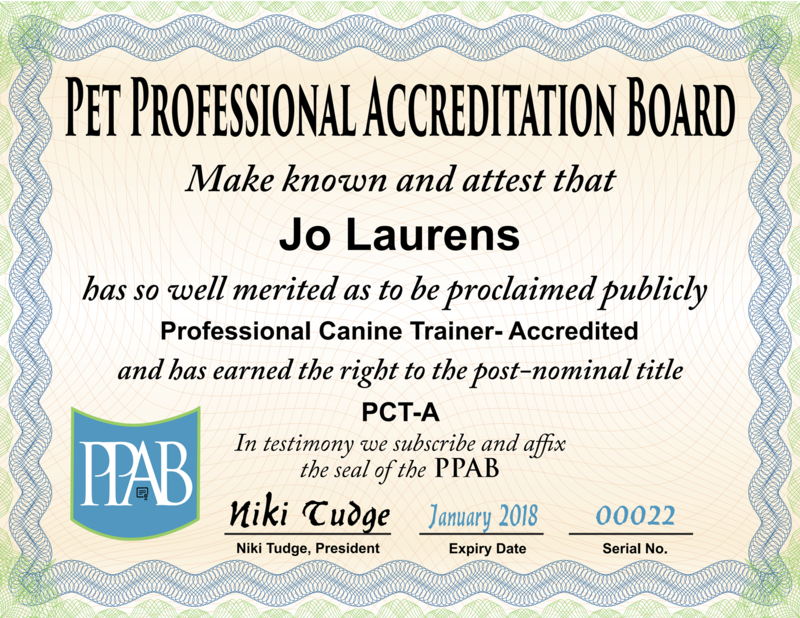 We currently offer three programs: an accreditation for Professional Canine Training Technicians, an accreditation for Professional Canine Trainers and an accreditation for Canine Behavior Consultants. Each program has a rigorous path to completion. Please read the eligibility requirements prior to submitting an application, you will find these on the first page of each accreditation information. Transfer Your Existing Credential and/or Gain a New One!